We just received this great piece of news this morning. Animator and interactive game maker Reece Millidge has announced that his development company, Damp Gnat will be bringing his visually stunning browser-based adventure golf game Wonderputt to the 2nd and 3rd gen iPads (the latter with full retina support) next month. 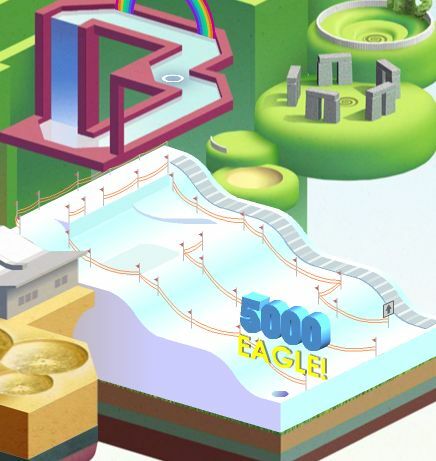 If you’ve never played the free browser version, then I highly recommend checking it out as it is quite an experience. The entire course is presented almost like an M.C. Escher painting, with trippy art deco/pixelart-ish graphics, but much crisper. It’s like playing mini golf inside of an interactive art exhibit. As you progress from hole to hole the course transforms and comes to life. Each hole offers a completely different feel with new challenges and your ball is transported between the holes via a variety of clever means that would make even Rube Goldberg smile. Reece describes the game as “adventure golf… but with cows, toads, ski slopes, torpedos and a sprinkle of alien abduction for good measure”. The browser version has already been blessed with a numerous awards for Visual Arts and a number of best browser game titles from sites like Kotaku and AVClub. The upcoming iPad release also adds fully integrated Game Center achievements and leaderboards, and its launch will coincide with the game’s 1st birthday. Having played quite a bit of the browser version, I suspect that Reese should be clearing off some wall space for some more awards in the future. If you are interested in reading about how the game came to be, then check out the official Development Diary. As if that wasn’t already enough news to excite you, Reece is also currently hard at work on ‘Icycle 2’, the follow up to his endless runner-style game where you are a naked mad (don’t worry, his parts are covered) riding on a bicycle following a trail of frozen soap bubbles. This title is due to hit browsers as well as iOS devices in late Summer and will be free to play the Flash version the web, and “initially a reasonable tier price for the iOS version”. 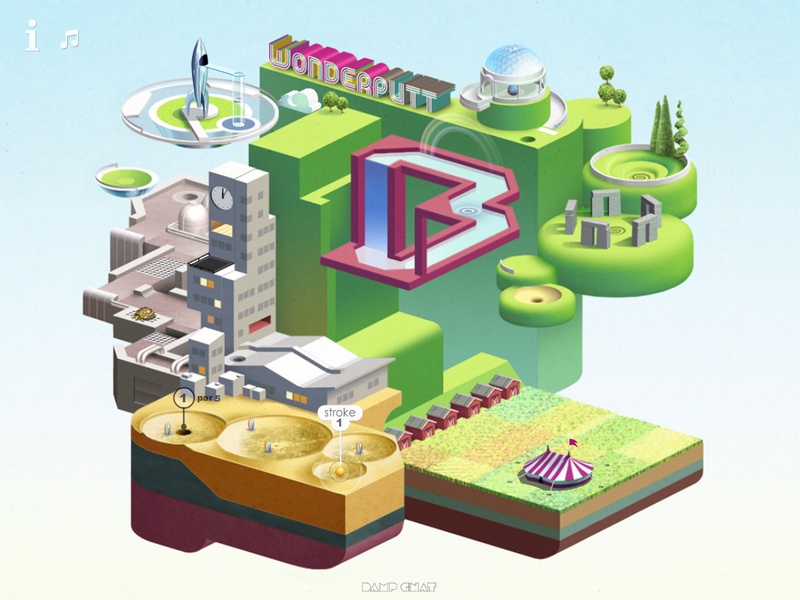 According to Reese, he is aiming for an early August release for the iOS version of Wonderputt at a 99¢ price point.